I went on Pinterest looking for some simple red, white, and blue shenanigans. 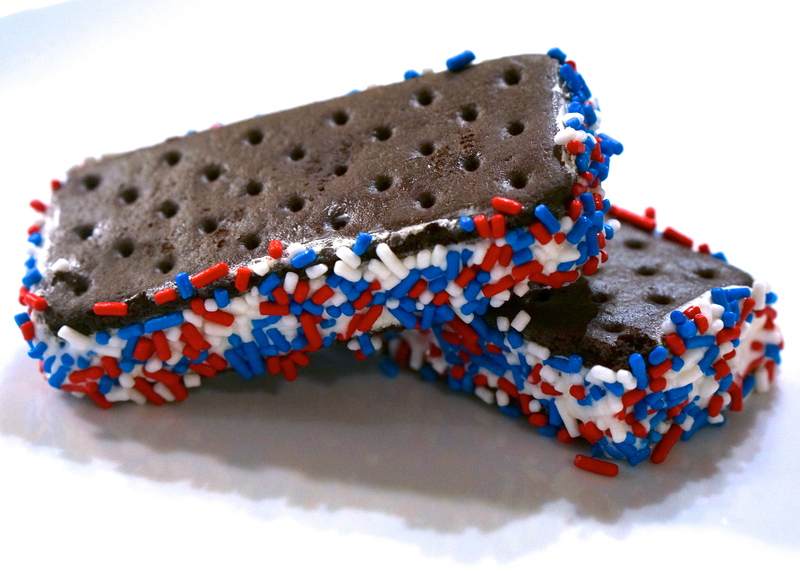 During my search I came across a bunch of awesome recipes including these red, white, and blue ice cream sandwiches. 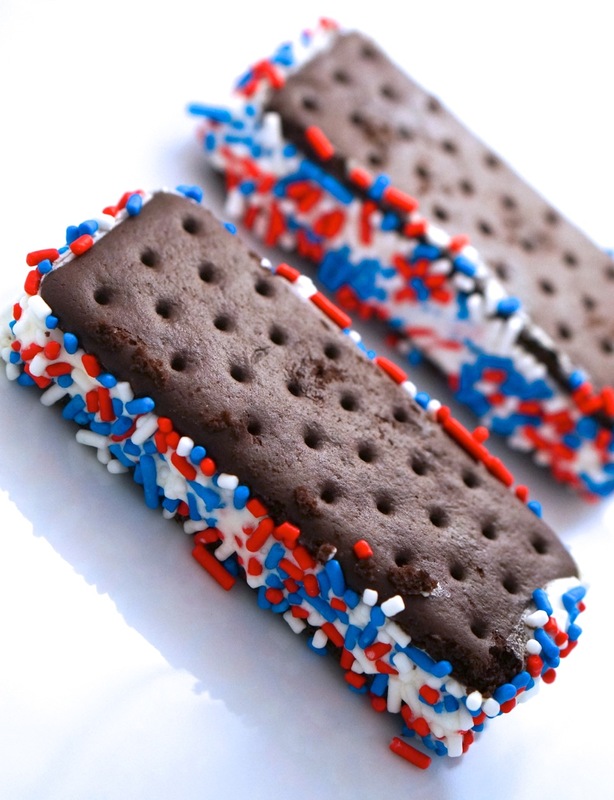 If you are looking for a super easy and cute red, white, and blue snack for your Fourth of July celebration, these are perfect! Take out a few couple bars at a time (so they don’t melt) and spread your sprinkles on a plate. 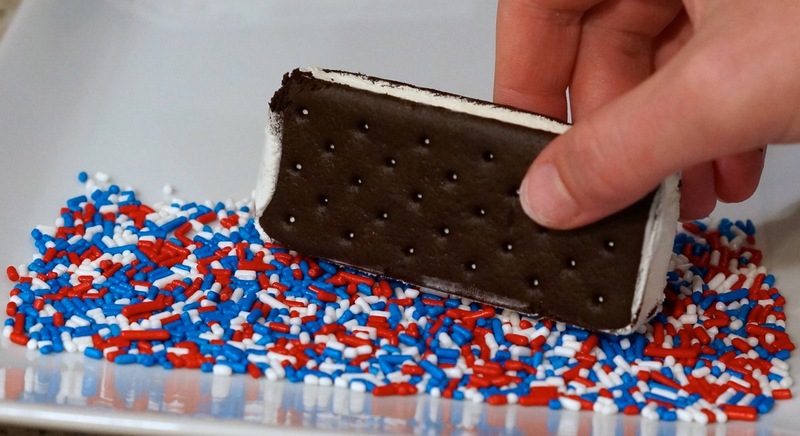 After pressing each side of the ice cream bar on the sprinkles, place them back on the wrapper (using the wrappers as dividers, you can stack them). Then quickly place them back in your freezer until they are ready to serve. 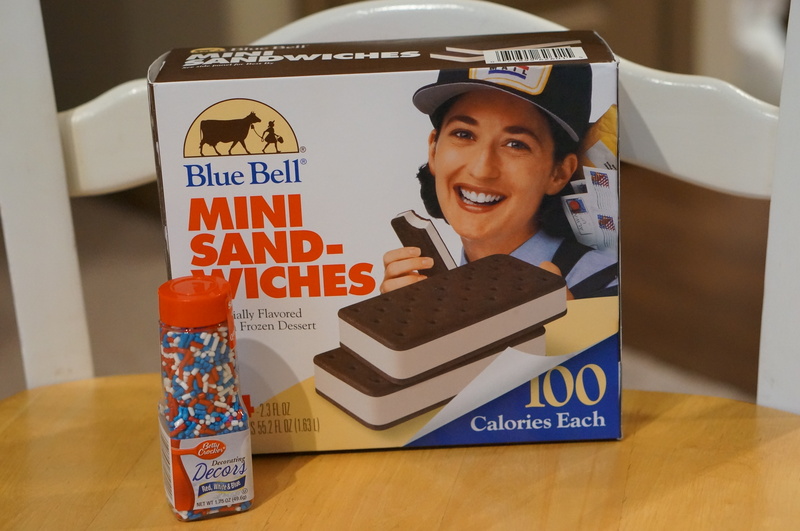 These are kid friendly and are perfect for a hot summer day. Another option is to add a popsicle stick to the bottom to put a twist on the classic popsicle. Hope you have a great fourth of July, and be sure to keep checking back to see all of my other 4th of July recipes!